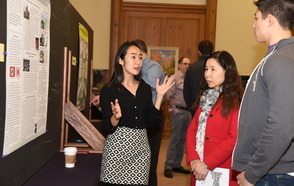 On an evening in early November, while many students were settling in for the night, a group of senior Honor Scholars were showcasing their on-going research projects for the DePauw community. 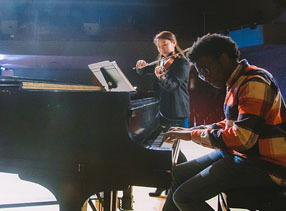 The Honor Scholar Program offers a unique and intensive experience for dedicated and passionate students. 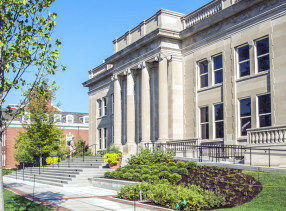 In their first year, students take two seminar-style interdisciplinary classes. 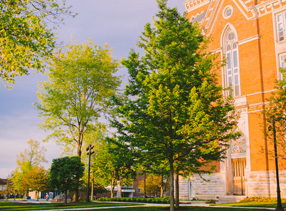 In their remaining years at DePauw, they will take three other seminar classes, all of which discuss a wide variety of topics in small group settings. 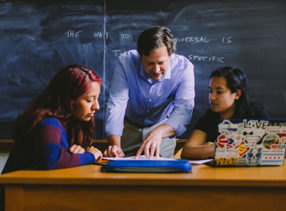 Finally, as seniors, Honors Scholars work intensively with at least three professors to create extensive thesis projects that must draw on at least two academic disciplines. Yuka Kitajima ‘17 analyzed several museums in both Germany and Japan to examine and compare how they have narrated their WWII experiences and involvement as both perpetrators and victims. She first began to conceptualize the project in her sophomore Honors Scholar seminar class that focused on the Holocaust and its aftermath. “I kept asking how much of Germany's reconciliation and peace building process was applicable to Japan's case,” Kitajima says. 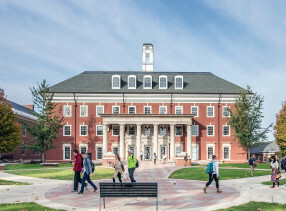 She explored other possible topics after that, but, being a Peace and Conflict Studies major focused on cultural conflicts and East Asia, her first choice seemed perfect. 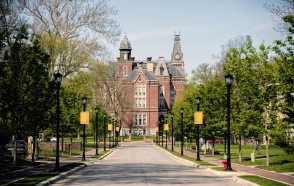 Open to students of all majors, the Honor Scholar Program plays a pivotal role in DePauw’s commitment to excellence. In addition to her involvement in the Honor Scholar Program, Kitajima is a member of Alpha Chi Omega sorority and two honor societies, as well as a Presidential Ambassador, International Liaison at the Office of Admission, Coquillette Peer Consultant at the Hubbard Center for Student Engagement, Hillman Intern for the Janet Prindle Institute for Ethics and Intern at the International Student Service Office. The Honor Scholar Program has offered her numerous opportunities to develop as a global citizen. “I have been pushed to be open to new perspectives, willing to accept critiques, think outside the box and connect the dots. The interdisciplinary nature of the seminars and the intellectually diverse group of people challenge me every day to look at the world through different lenses,” she says. Kitajima believes that the global citizenship she gained from the program is important for and culturally- and intellectually-rich life. 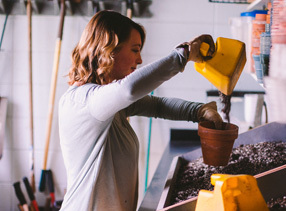 She has also learned more concrete skills like time management that she believes will also help her after graduation. 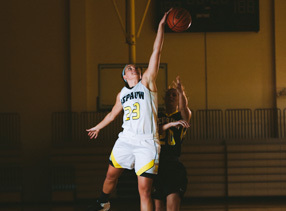 Despite the stress that often comes along with the intense program, she says that being an Honor Scholar was one of the best decisions she ever made at DePauw.